Today was quite a ruckus, eh? A lot of webpages (including all of my blogs) were blacked out as a protest to the PIPA/SOPA Act. Apparently, we may be moving something along according to this report here. Way to go protesters!! Man, how far have we come! We the people of the United States of America don’t even have to get off our asses to protest something… Niiiice. Hopefully the lot of us have stirred the fire. And to the lot of you who had no idea what was going on (Facebook updates like: What the hell is up with Wikipedia?) shame on you. What do you think? How would you feel if you wanted to share an article or a song with someone on the internet and all of a sudden a steel door slammed over your screen, thereby smashing you fingers into the keyboard because it is FORBIDDEN to share the interesting with a fellow computer friend? I mean, in this new age, it is all about sharing. Twitter, Facebook, Tumblr, Reddit, Blogger, WordPress… all of these sites share information, pictures, videos, music, blog posts and opinions. ███ ████████ ██████ ██████████ ██ ████ ██ ████ ██████████ ██. ███ ███ This comment has been found in violation of H.R. 3261, S.O.P.A and has been removed. SERIOUSLY?? It’s almost like Bizarro World.. but, more bizarro-er. Check out this link here to get updated on all this garb. This week is STELLAR so far. I got a lot of posting done, got a lot of writing done with the help of 750words.com and commented on a slue of blogs. I slacked on editing my current WIP. But it’s all good. I am catching up on it tonight. This Sunday is the New York Motorcycle Show! Sa-weet! I will be taking loads of pictures and posting mega content on the hottest new bikes and gear for 2012. So be sure to look for that. In other news, someone approached me about covering their heavy metal band doing a gig in Trenton, NJ in March. 😀 I am super stoked about that. Yes, the article will be on my blog. I am hoping good things will come from this! Happy ROWing my wonderful blogger/writer/ROWer peeps! this is great Darlene, this is what I did also in my fb account, sharing link and articles about SOPA protest, we really need to stand out against this BILL…. Great week Darlene, the motorcycle show sounds great – we have a cool little motorcycle museum not far from us, some lovely bikes there! 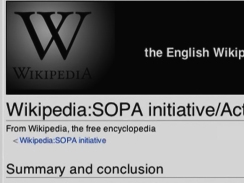 I’m in the UK and I know about SOPA/PIPA I was shocked to at how many people didn’t know about it, thing is if it went through in the US how long would it be before it affects the rest of us!? The UK love to jump on the bandwagon with these things, we already have a silly regulation coming in here about having to get ‘permission’ for cookies when someone visits your website – which is very annoying on its own! Hey, thanks for dropping by… So wait. permission for cookies? I’m gonna go read up on that.. seems dumb! That legislation is terrifying. I hope it’s not going to get through. I didn’t go dark yesterday (because *um* I forgot which day it was going to go down) but I wholly support the protest. *shakes pom poms* Congrats on your stellar week!!! Thanks Sonia.. 🙂 Man, if that legislation ever goes through, we’re done.